Hannah Jacobson-Hardy of Sweet Birch Herbals is a holistic health coach devoted to connecting people with their own inner wisdom. Hannah serves a wide range of clients as an herbalist and a certified life coach. She approaches her work with compassionate attention, intuition, and an open heart. Hannah offers holistic wellness consultations that integrate Chinese, Western, and First Nations herbal medicine. She creates high quality, custom blended formulas and provides specifically tailored protocols that include nutritional guidance and lifestyle suggestions. All of her plant medicines are sustainably wild crafted and cultivated to ensure abundance for future generations. Her work revolves around her passion for connecting people to their own inner wisdom with the assistance of plant-based medicine so they may lead healthy lives that are truly aligned with their values. 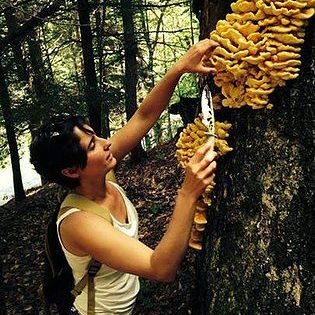 Hannah is native to Western Massachusetts where she spends her days foraging for wild food and gardening. She has worked on organic farms raising chickens and dairy goats while also growing enough vegetables and fruit to put up for the winter. She enjoys traveling with friends and family. Read all about her personal journey for the past 5 years on her BLOG.